With the hustle of life in 2016, it seems like a good night’s sleep is an increasingly rare commodity. While some treat it as almost a luxury, sleep is essential to our physical and emotional well-being. 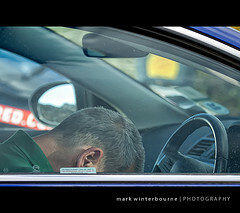 Being well-rested is also a critical part of being a safe driver. People who wouldn’t dream of driving drunk are driving while sleep-deprived despite evidence that drowsy driving is a threat to everyone on the road. Our Oakland car accident injury lawyer fights for the victims of drowsy driving accidents in Northern California because they deserve compensation and because it sends a message that overly tired driving is a danger that should not be tolerated. The San Francisco Chronicle reports that a man lost his life this past Sunday in San Jose because a driver apparently fell asleep at the wheel. California Highway Patrol (“CHP”) officials say that the victim had pulled onto the shoulder of U.S. Highway 101, north of Alum Rock Avenue, to investigate car trouble when he was struck by a Ford Ranger. The Ford’s driver told CHP officers that he had momentarily fallen asleep at the wheel and wasn’t initially sure what he had hit. Police say the victim was a 60-year-old man from Daly City whose wife and children were in the car at the time of the deadly accident. The crash occurred shortly after 4 PM. In March, the National Highway Traffic Safety Administration (“NHTSA”) released a Drowsy Driving Research and Program Plan (PDF available online) aimed at curtailing drowsy driving incidents in the coming years. As the NHTSA’s plan clearly recognizes, “[d]rowsy driving is not just falling asleep at the wheel.” Drowsiness in many ways le aves a driver impaired much like alcohol does, causing reduced reaction times, slowing mental processing, making it harder to pay attention, and impairing a driver’s judgment and decision-making skills. Drowsiness can be the result of one night of little to no sleep or an accumulated sleep debt due to multiple nights of insufficient sleep. Fatigue-related crashes can occur at any time but appear to spike late at night, pre-dawn, and (perhaps more surprisingly) in the mid-afternoon. Drivers of all ages are involved in drowsy driving incidents. However, drivers 16 to 24 years of age are nearly twice as likely to be drowsy at the time of an accident than older drivers and are also more likely to report having fallen asleep at the wheel in the previous year. As the NHSA notes, it is impossible to get precise figures on the impact of drowsy driving because there is no blood test for a sleepy driver. Instead, investigators rely on a myriad of evidentiary clues along with driver statements to determine if an accident may have been due to an over-tired driver. The NHSA suggests anywhere from 2 to 20 percent of yearly traffic deaths are due to driver fatigue. From 2009 to 2013, the agency found that on average there were 72,000 police-reported crashes each year involving tired drivers leading to 41,000 injuries and more than 800 deaths annually. Other studies done using statistical analysis place the cost much higher, suggesting 7% of all crashes and 16.5% of deadly crashes involve drowsy drivers which translates into more than 5,000 lives lost each year because of tired drivers. We are committed to spreading the word about the dangers of drowsy driving and support the NHTSA’s efforts to tackle the problem. People need to know that drowsy driving is impaired driving and drowsy driving is dangerous. Further, people injured by drowsy drivers need to know they have rights. If you or a loved one was hurt in a drowsy driving accident in San Francisco, Santa Rosa, Oakland, or elsewhere in the Northern California region, call our San Francisco injury law firm at (800) 427-7020. We are here to help and we are committed to providing top-notch legal services with a personal touch.